CBS is reevaluating some of its over-the-top streaming video strategy, while also raising expectations for the success of its digital subscription products. CBS currently offers two subscription streaming video services: CBS All Access and Showtime. Last summer, the company said those services had about five million subscribers, split about evenly between the two services. In the company’s quarterly earnings report Thursday evening, the company said it has passed eight million subscribers between the two services. Perhaps more significantly, CBS now says it expects to have 25 million subscribers by 2022 -- up from a projection of 16 million last summer. Meanwhile, the company is also rethinking its windowing and syndication strategy for CBS All Access originals. 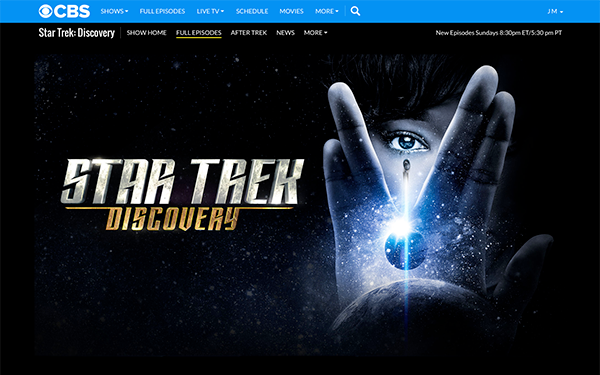 Right now, CBS All Access has exclusive shows such as “Star Trek: Discovery,” and “The Good Fight,” which CBS may also sell in International markets. Moving forward, however, some of those shows may go on the CBS broadcast network after an exclusive All Access window. “So, we're really thinking about that going forward and obviously that has an effect of reducing costs, because it would reduce development cost across the company,” he added. At the same time, the company is significantly increasing its programming output, with Showtime alone increasing its original programming output by 30%. Meanwhile, the company is leveraging the data gathered from All Access and Showtime to sell more targeted advertising, and to develop more relevant programming for the services.